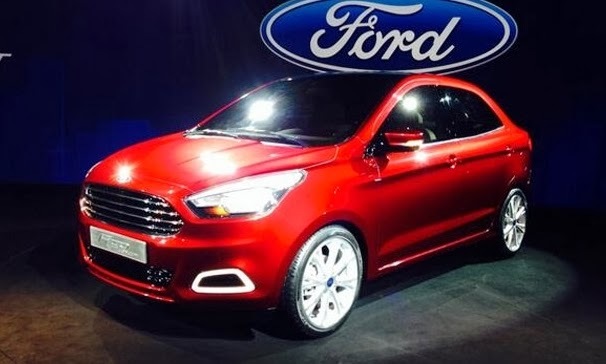 Carnation Auto Blog: Stunning Ford Figo Compact Sedan Unveiled in New Delhi Today! 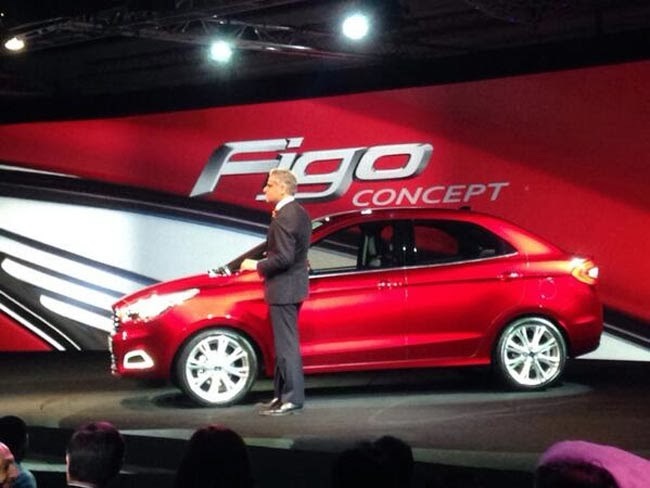 Stunning Ford Figo Compact Sedan Unveiled in New Delhi Today! The American car manufacturer Ford unveiled its much awaited Ford Figo Compact sedan on February 3, 2014. Ford Figo Sedan concept will also be showcased in the upcoming International Auto Expo in Greater Noida. In future, the brand new concept may replace Fiesta Classic in 2015. Sub 4-mtr sedan segment is one of the top selling car segments in India and with Ford Figo sedan is planning to occupy this market in a big way. This car will compete against Maruti Dzire, Tata Zest and Honda Amaze. Kumar Galhotra, VP Engineering, Ford Motor Co. unveiled this stunning red color sedan in New Delhi today. It's touted to be the biggest reveals of 2014. After the grand success of Ford Ecosport, which was launched last year, the American automaker is planning to make a huge presence in the sedan segment with this brand new car. In the exteriors, the new Ford Figo sedan has trapezoidal grill, bold styling and blacked out headlamps. This car may have 1.2 litre petrol engine or 1.5-litre 'Sigma' petrol or 1.0-litre Ecoboost turbo-petrol. The engine hasn’t been finalized yet. With design, performance and quality in mind, this concept is envisioned for the Indian market.